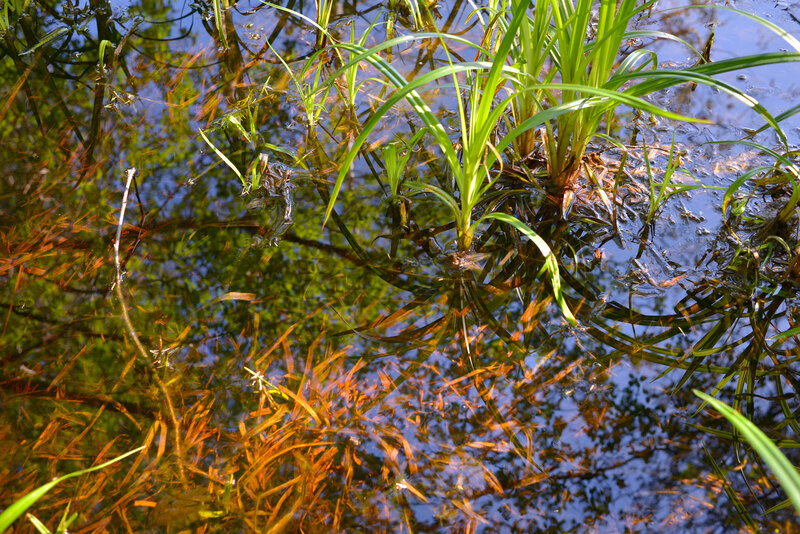 In Earth Week 2016, Brady Marks travelled to Saturna Island and joined fellow artist Mark Timmings to capture the sounds of the wetland beside his home. With sound engineer Eric Lamontagne, they produced a twenty-four-hour, five-channel, field recording. The artists then worked with programmer Gabrielle Odowichuk to develop an algorithm that metamorphosed sound frequencies from the field recording into colour fields in flux. The recording and algorithm serve as the foundation for the immersive audiovisual installation exhibited at VIVO Media Arts Centre in 2018.